Hello, dear friends! 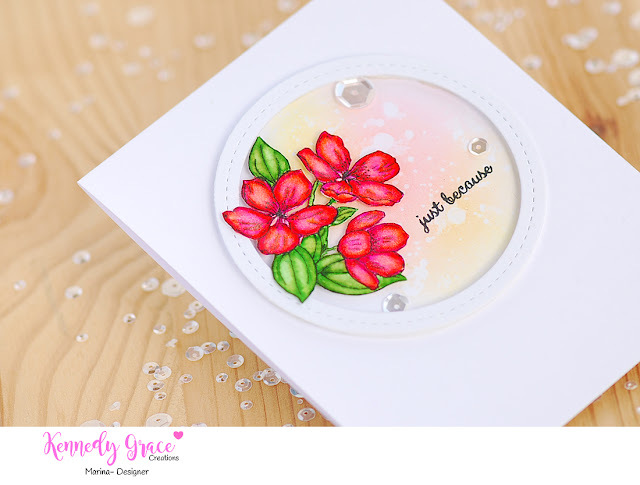 Marina is here and I'm going to show you my new flower card inspired by the amazing February Mood Board! I've decided to color gentle flowers from the Grace's Litlle Note and used Zig Clean Color markers for it. To make a subtle background for the flowers I toned the cardstock with distress inks, sprinkled it with water a bit and wiped with a napkin. A tiny Just Because sentiment is also from the Grace's Litlle Note set. 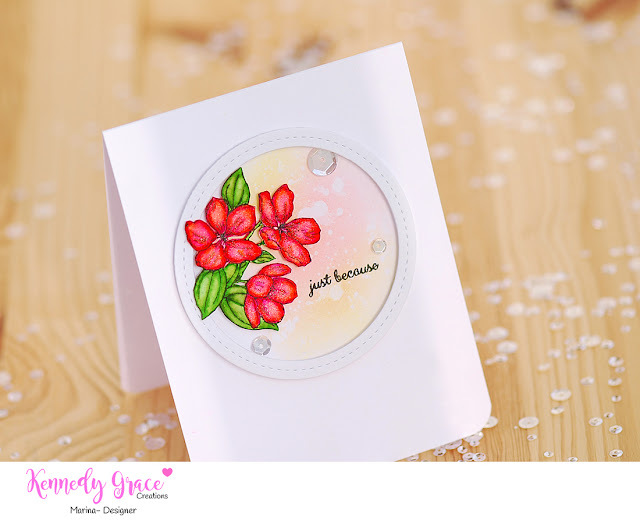 It perfectly fitted white circle frame with flowers. For a delicate accent I picked three clear sequins from the Leather and Pink lace and Frosted Cupcackes mixes.